The Grange and Lyndhurst are our high standard, caring residential homes situated in the beautiful village of Goring. The Grange, set in over ten acres of beautiful gardens, is a forty-two bed care home for the elderly. Lyndhurst is an elegant Victorian property which has been tastefully extended and enlarged to offer twenty rooms. 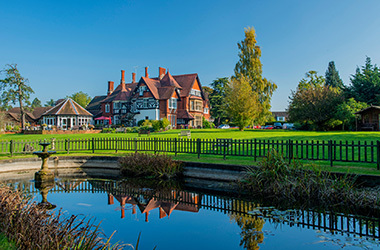 Goring is a small attractive village in Oxfordshire, yet only a twenty-five minute drive to Reading town centre. Find out more about Goring.